Clifton Forge, VA (Jan. 9, 2019) - Clifton Forge, Va. – The non-profit Chesapeake & Ohio Historical Society (cohs.org) has taken delivery of its latest piece off full-size historic railroad equipment. 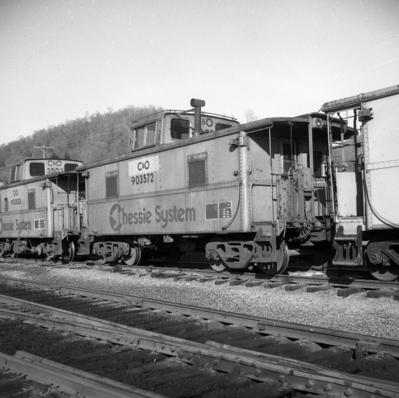 Throughagenerousandmuchappreciateddonation by CSX Corporation, the Heritage Center has received steel railroad caboose number 903572 that was last based at the Quinnimont, WV terminal of CSX. The caboose added to the collection was built in 1941 by Magor Car Company in Clifton, NJ as part of an order placed by the Chesapeake & Ohio Railway for new all-steel cabooses. Its original number was 90086 but when it was rebuilt by C&O’s Grand Rapids, Mich. shops in 1969, its number was changed to 3572. Its number was changed again in 1985 to the current 903572. 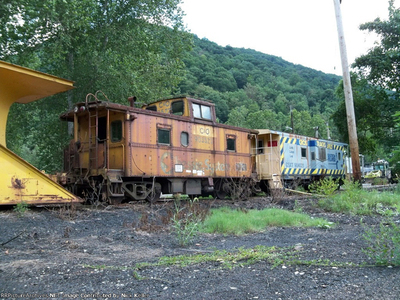 While it is not yet ready for public display or tours, work will begin in the Spring to restore the caboose to its in-service condition, receive new paint, and will then be opened for viewing by the public. 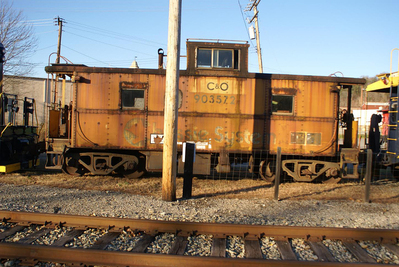 The C&O Railway Heritage Center, where the caboose is now displayed, offers a multi-dimensional railroad heritage experience that tells the story of the C&O Railway from its beginning in 1836 to today’s CSX. The story is told through a variety of historic railroad freight and passenger cars, a C&O steam locomotive, C&O diesel locomotive, railroad buildings, and displays of historic artifacts in the former Smith Creek Yard freight house. The Chesapeake & Ohio Historical Society was organized in January 1969 with the first publication of a monthly newsletter, and in 1975 was incorporated as a non-profit eleemosynary organization within the meaning or subparagraph 501(c)(3) of the Internal Revenue Code.